As one of the pioneers in the mining machinery industry, Fote Machinery has devoted to the innovative design of product and the development of technology in the field of crusher manufacture. We have had an overall optimization on the components of jaw crusher. Through constant innovation and progress, FTM jaw crusher successfully catches the attention of a mass of users by its innovative production concepts. The structure of jaw crusher is simple, mainly composed of frame, working mechanism, transmission mechanism, adjusting device, tension unit, safety device and lubrication system. The frame is aimed to support the eccentric shaft and sustain the reactive force from crushing materials. So it is required to have enough strength. In general, the frame is built by cast steel overall. For small-size jaw crusher, high-grade cast iron is also available, to replace the cast steel. The optimization and improvement of FTM jaw crusher generally covers the overall appearance, component layout, and the assembly design of each part. 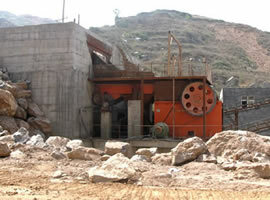 The shell of jaw crusher can be forged and welded, or connected by bolts or in other ways. Thus the applicability of jaw crusher in use is improved considerably. Then, optimize the cavity shape, that is, change the cross section shape of the tooth plate, to get a more reasonable crushing cavity curve and make the feeding best fit with the discharging. Next, alter the ride height by reducing the positive suspension height, even to zero or below, so as to increase the horizontal stroke under the moving jaw. FTM jaw crusher, impact crusher, cone crusher and so forth all blend in unique and novel design ideas and obtain unexpected crushing effect. 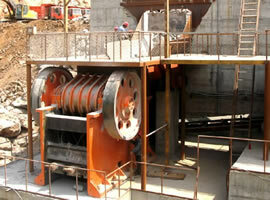 What Kinds of Equipment Does a Full-Set Granite Stone Processing Plant Include?